Facebook is currently no. 1 social networking site and also registered more than 1 billion accounts till now. Almost everybody has a Facebook account. Facebook allow us to connect people all around the world and to find new friends and we can share ideas, news etc. In order to create Facebook account the user has to pass through various security check, this is because Facebook does not want any scam or fake profile. 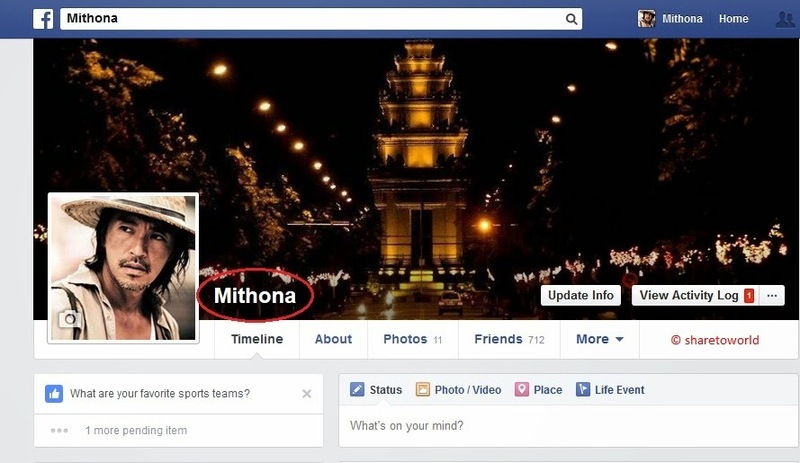 To ensure this, one of the measures which Facebook takes into consideration is that it does not allows anybody to miss out the last name. 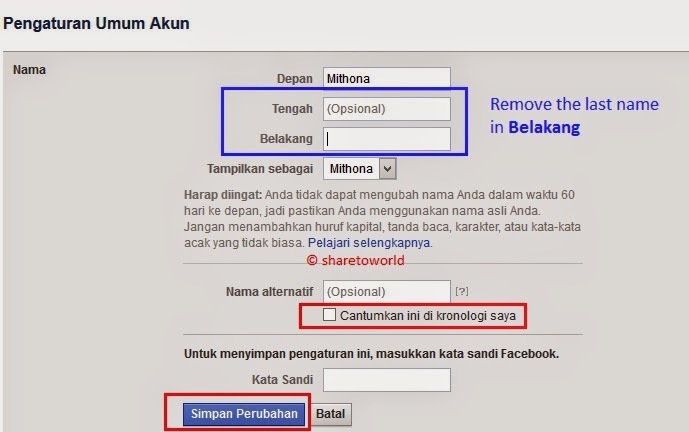 Hence one cannot create his/her profile only by first name and the middle name, it is mandatory to fill out your last name as well but for Indonesia people, they can remove their last name. So here we go to remove the Facebook last name. 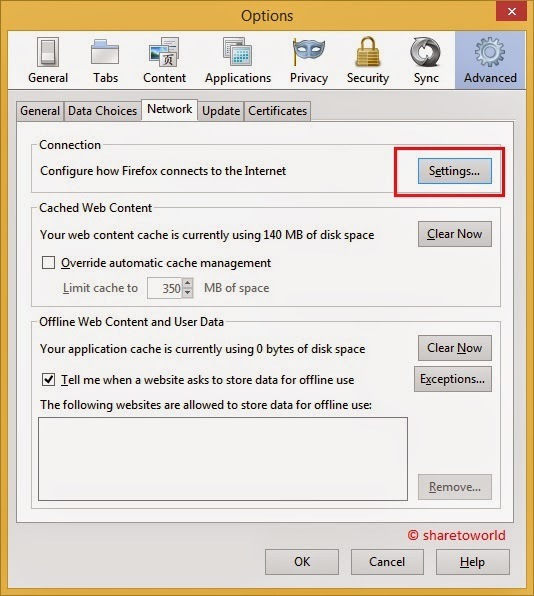 1- First you need the Mozilla Firefox last version. 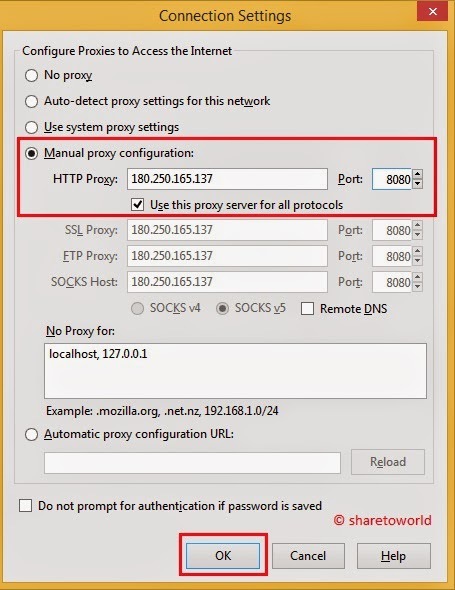 4- Click on Manual proxy configuration and type the Indonesia Proxy IP, Port, and Check the Use this proxy server for all protocols, then Click OK.
5- Now Log in to your Facebook account then go to Account Setting and change language to Bahasa Indonesia.